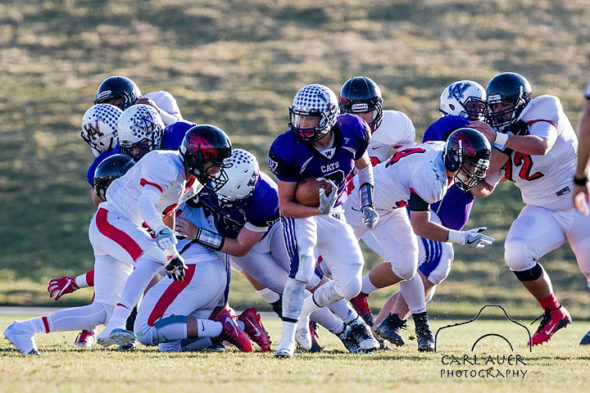 On November 3, there was a double header football game at the NAAC in Arvada, Colorado to end the regular season. 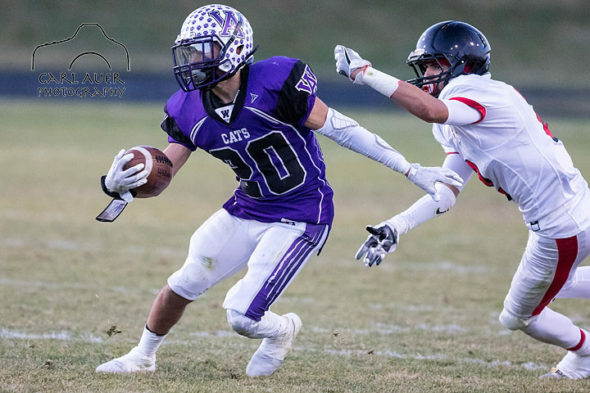 The Arvada West Wildcats hosted the Eaglecrest Raptors in the first game of the double header, and with a beautiful, sunny day, and a 4:00 start time, I was excited to, for the first time, try my Canon 300mm 2.8 IS lens with a 1.4x teleconverter. The photo results were insane. With the combo I was able to sit just beyond the end zone end line and get almost all the way down to the other end of the field. I got right into the action, which, unfortunately, was all on Eaglecrests side. 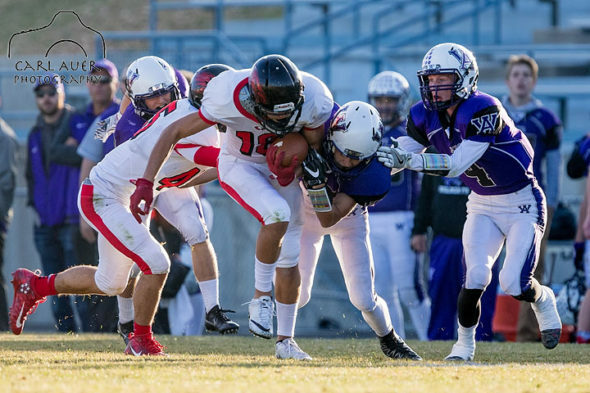 The Raptors showed why they were the current number two team in the state, handing the Wildcats a 35-7 loss to close out the regular season. 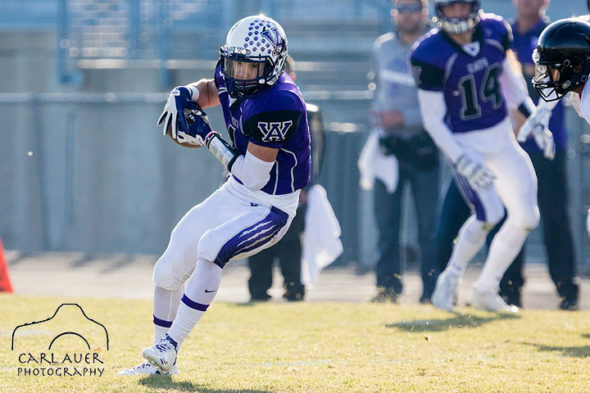 IF Arvada West can beat the number five ranked Fairview team on Friday, they should be back to the NAAC next week to face the number four Pomona Panthers in the second round. That would be a good game. Here are some shots from the game, including a couple special ones for me. 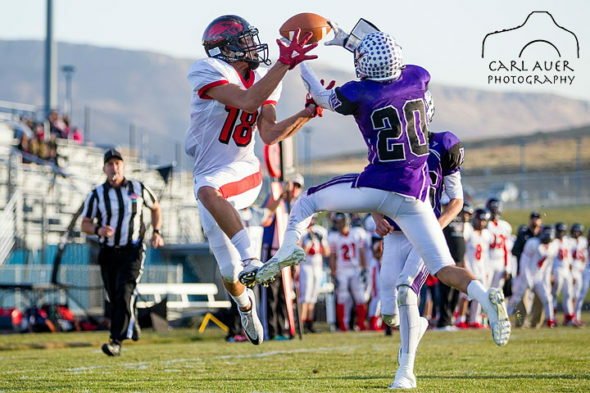 To purchase these photos or view and purchase more, please visit MaxPreps. 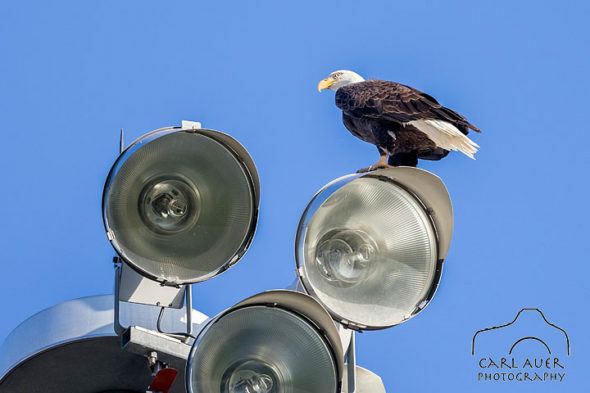 A North American Bald Eagle sits on the football stadium lights. Shot with Canon 7d Mark II, 300mm 2.8 IS and 1.4X teleconverter. My favorite shot from the game. Shot with the Canon 1D Mark IV and 70-200mm F2.8 IS lens. 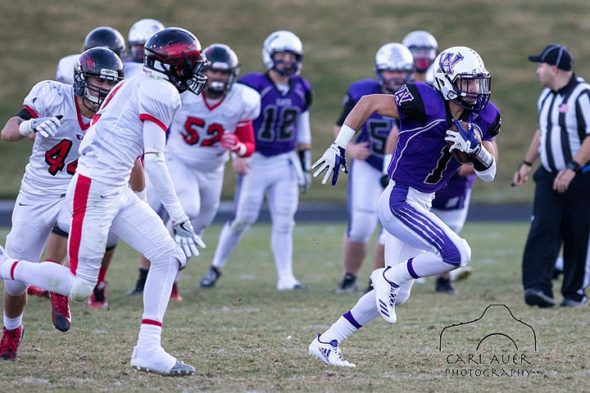 This entry was posted on Thursday, November 9th, 2017 at 10:22 am	and is filed under Sports and tagged with Arvada, Arvada West, Canon, Colorado, Eaglecrest, Football, NAAC, Raptors, Wildcats. You can follow any responses to this entry through the RSS 2.0 feed.